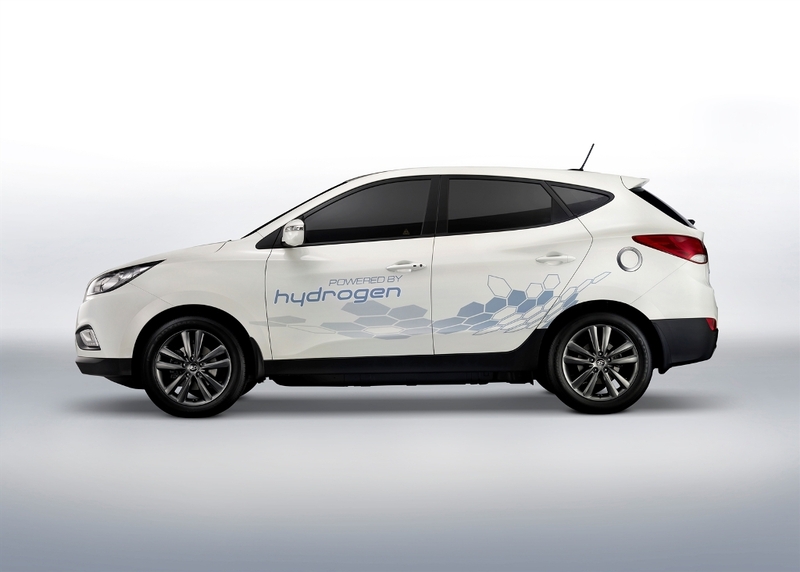 Hyundai is using the Paris Motor Show to unveil their hydrogen-powered ix35 crossover. The vehicle is set to go into limited production and will be made available before the end of the year. The company goal is to have 1,000 vehicles produced by 2015, with that number reaching 10,000 in the years after 2015. 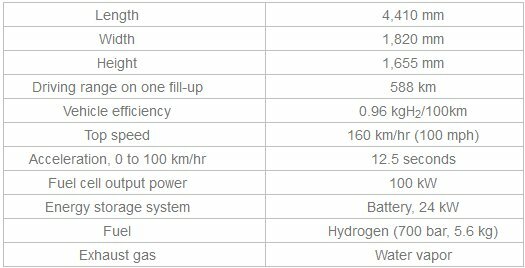 The all-new Hyundai ix35 fuel cell contains an electric motor that is basically powered by hydrogen. That allows the vehicle to go from 0-62mph in 12.5 seconds. A full tank will provide 365 miles of driving, with a top speed of 100mph. 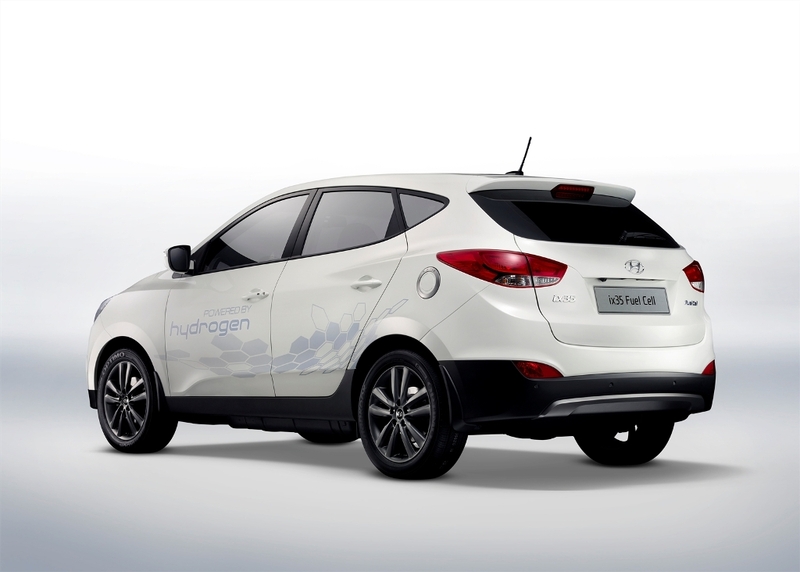 Owners of the zero-emission ix35 will be able to fill up their rides at specially outfitted stations, secure in the knowledge that water vapor is the only exhaust emission that comes from the vehicle. 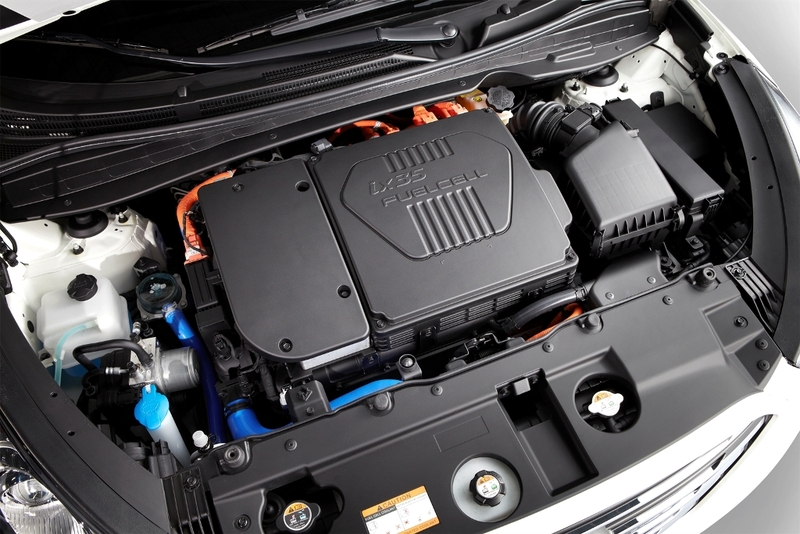 The ix35 fuel cell vehicle comes equipped with a stop/start system that will ensure the fuel cell is turned off while the car is stationary. 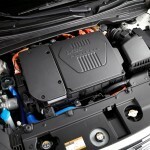 Brake energy regeneration is also used to charge the batteries, using a system that uses normal air as opposed to compressed. This will reduce power consumption by as much as 50%. 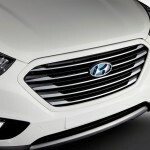 New Hyundai ix35 fuel cell vehicle will have something of a different look than the rest of the range. 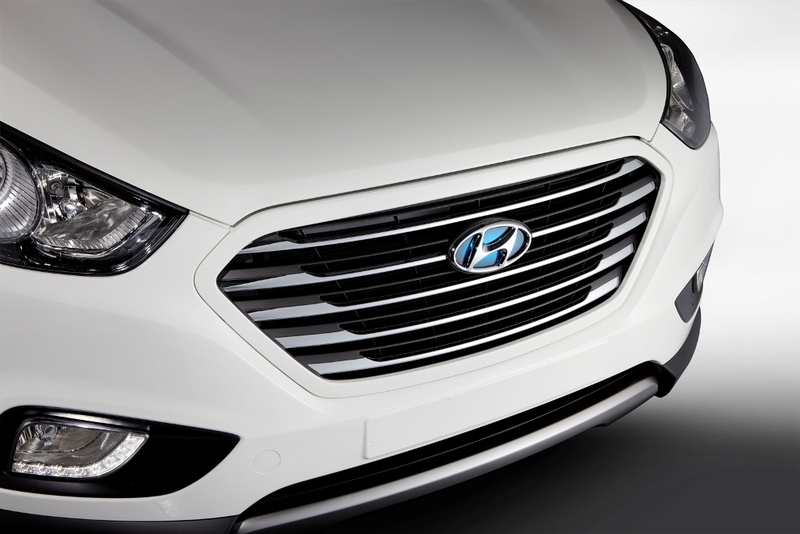 It will sport a stylish single-piece grille and a blue-tinged Hyundai badge. 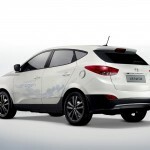 Talking about the ix35, Vice Chairman Woong Chul Yang, head of Hyundai Research and Development said that he believed it represents the pinnacle of Hyundai’s advanced engineering, as well as their commitment to being a leader in eco-friendly mobility. 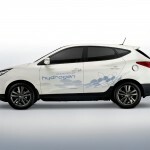 Watch the latest Hyundai video from the on-going Paris Auto Show highlighting the zero-emission ix35 fuel cell vehicle! Stay tuned for more news about Hyundai and Paris Auto Show! And do not forget to read about the Hyundai WRC comceback! !